Below is a picture of a United States Treasury check. Not just any check, but a check payable to a client whose money was seized by U.S. Customs and Border Protection (CBP) and Immigration and Customs Enforcement (ICE) officials of the U.S. Department of Homeland Security. The seizure occurred as the international passenger arrived in the United States at a border crossing in California, and was stopped and questioned by Homeland Security officers regarding the source of his money. Without an adequate explanation, CBP officers took the business traveler's cash. The client originally hired another attorney at a different law firm without success. Only then did he seek a customs law expert both knowledgeable and experienced in seizures by CBP. After I went through the petition process of the Fines, Penalties, and Forfeiture Office of CBP, including a face to face meeting by my client and me with the FP&F Officer, assigned Paralegal Specialist in the FP&F Office, and the local CBP legal counsel, the money was returned in full. I have filed over 1,000 Petitions with CBP all over the United States, and learned a thing or two about how to get seized merchandise returned to my clients. 5. 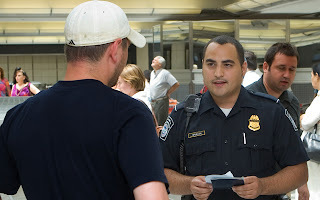 As soon as your money or other property has been seized, immediately contact a customs lawyer who is an expert in handling Homeland Security matters, especially seizures by CBP. For questions or comments about seized currency, ICE or CBP, please contact me. My advice is that you should consult first a fraud solicitors so that we can avoid some issues like this. I’ll bookmark it for my further reference whenever we need this in our subject regarding law. Thanks for sharing this post. I think the report is the one that screws us up the most. So many people get in trouble because of a detail or a small mistake, it's unbelievable!